Although Abu Dhabi's glittering skyscrapers and opulent boulevards suggest more of an adult wonderland than a children's paradise, visiting parents will be happy to learn that there are plenty of amusements that promise to keep the children entertained during their time in the city. 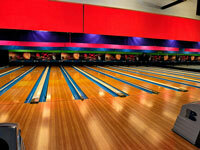 The many beaches and water parks are a sure way to keep the whole family occupied. For visitors seeking an escape from the sun, there are plenty of malls and amusement parks which specifically cater for children. 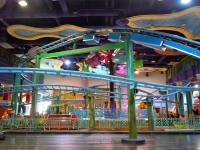 Hili Fun City, for example, is the United Arab Emirates' answer to Disneyland, and the amusement centre at the Marina Mall offers a wide variety of arcade games and thrilling rides. The Armed Forces Officer's Club has many facilities for kids too, and even features a spa for weary parents in need of some pampering. Khalifa Park is well worth a visit, featuring an aquarium, museum, play parks, a train and even formal gardens to enjoy some time out under the shade of a tree. With all these options, Abu Dhabi is ideal for travelling families.